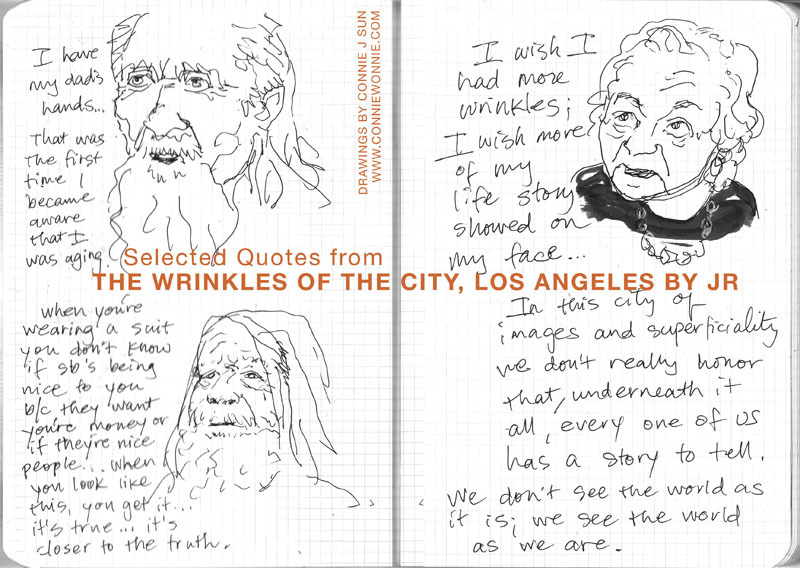 I ran out of time to compose a new cartoon, so here's a page from my sketchbook -- inspired by the artist JR's project, Wrinkles of the City, Los Angeles edition. You can watch it here on HuffPo (approx. 12 minutes). I grew up in a sleepy suburb of L.A. and this makes me see the place with new eyes. If you haven't experienced his past projects, I highly recommend watching his TED Talk. JR was the 2011 TED Prize winner.